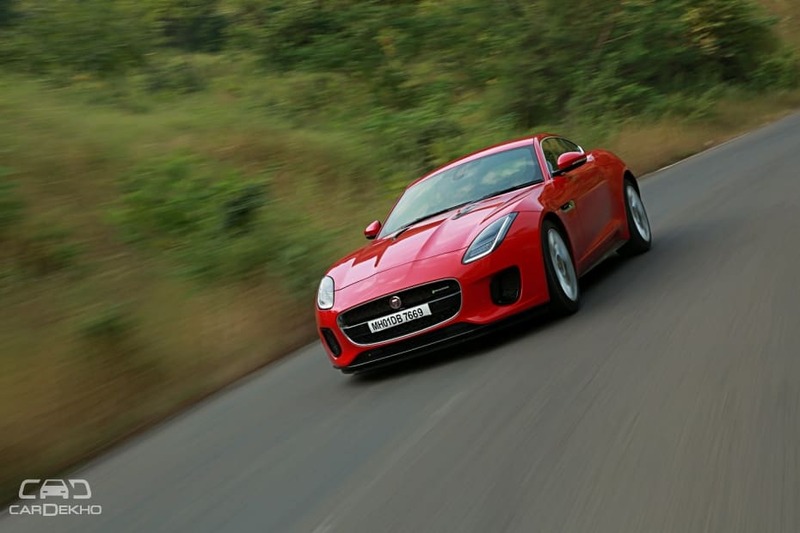 Has a smaller engine taken away the reasons to love the F-Type or given us brand new ones? 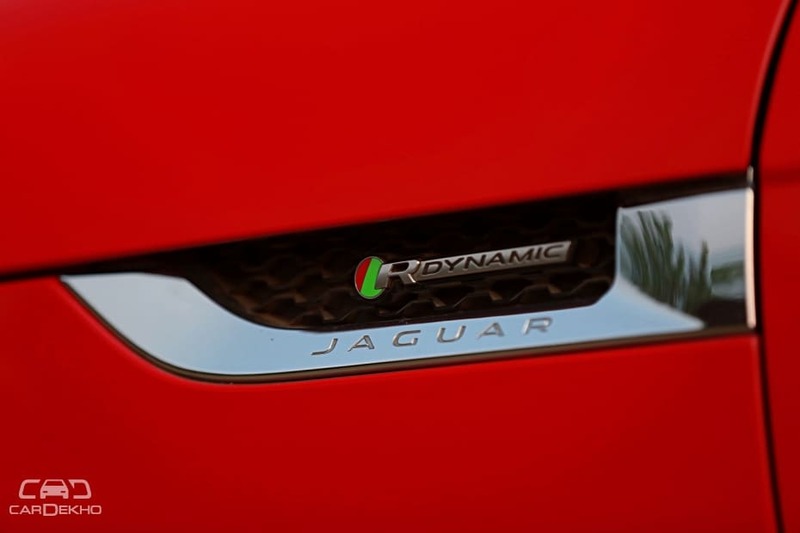 Jaguar’s F-Type now gets a smaller engine that’s a stark contrast to the loud and powerful V6 and V8. We drive it around for a few days to see if a 4-cylinder engine deserves a place in an exotic sportscar or if it waters down the experience like most expect it to. Generally, we’re quite neutral about car designs but when it comes to the F-Type, that’s simply impossible. The Jaguar F-Type is easily one of the most beautiful looking cars on sale today, combining sporty proportions with simple, yet, drop-dead gorgeous styling highlights. The F-Type is proof that there is sense in simplicity. There aren’t any cuts, creases or aggressive contours that make it scream, “I am sporty!” In fact, the look here is as clean as it can get, with the only aggression coming in the form of a subtle power dome on the bonnet and the rear haunches which perfectly mimic the stance of a crouched cat! You can even see the flared rear fenders in the rearview mirrors while driving, so you get to enjoy that sight from the inside too. 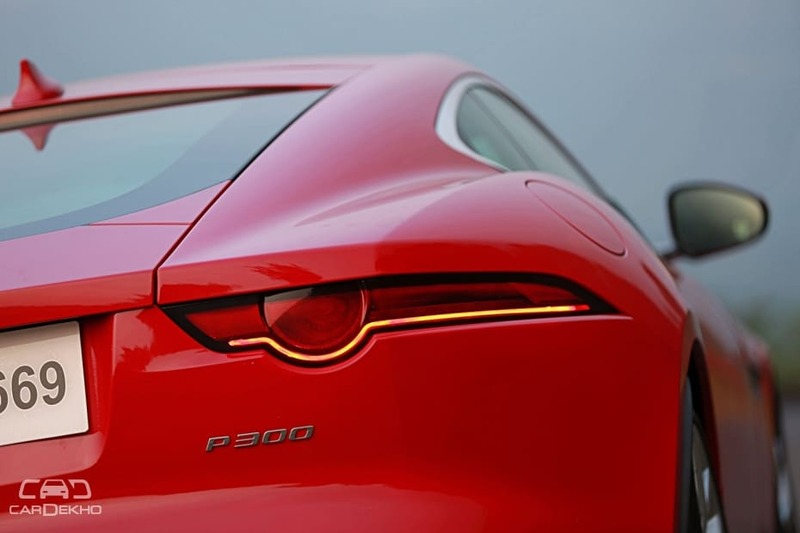 For the new model year, the F-Type also gets new bumpers, LED headlamps with new DRLs and mildly revised tail lights. To identify this as the 4-cylinder F-Type, you can either look for the ‘P300’ badge on the rear or spot the single exhaust muffler tip. 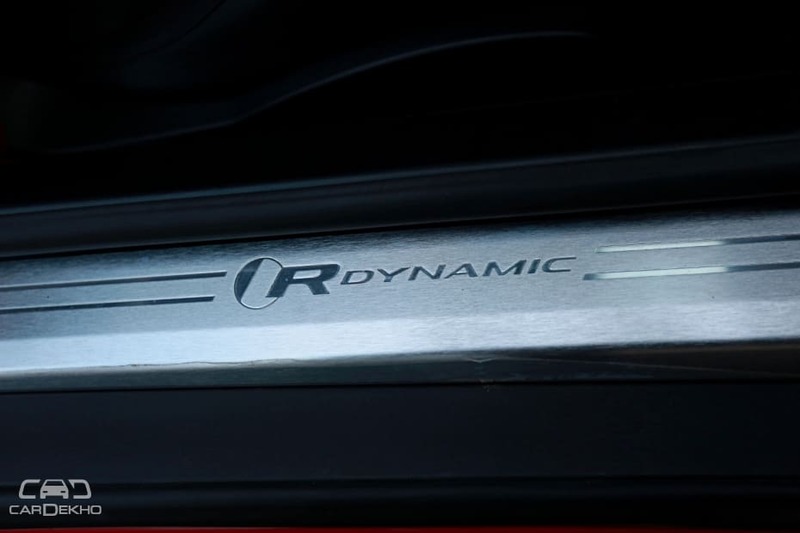 In the F-Type V8, you get quad tail pipes, while the V6 has two round exhausts. Does this change how people look at the F-Type? Not even slightly. Sure, it won’t make people in the distance turn around because they won’t hear it coming, but once it gets close, prepare for jaws dropping in amazement, thumbs ups from cars that pass by and as we witnessed unfortunately often, bikers pulling out their phones for photos and videos. Even though this test car wears relatively modest 19-inch wheels, the F-Type looks effortlessly striking. 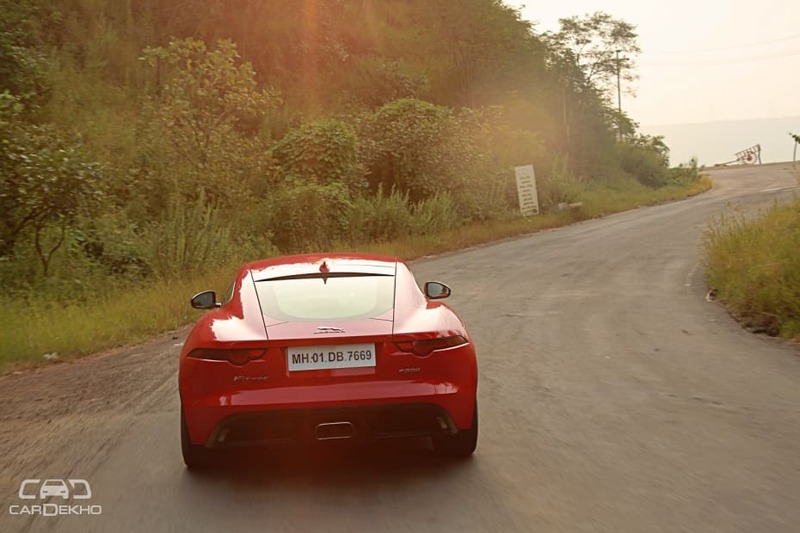 That said, not everyone in India knows the F-Type, so don’t be surprised if people assume it’s a Ferrari, especially if it’s draped in this shade of red. First impressions of the cabin are positive. While the design won’t get your heart racing like the exterior does, it is quite nice to look at. It simply doesn’t feel as special as the exterior. You might be sitting a lot lower here, but for a car that costs more than twice as much as an XE, it doesn’t feel all that different from Jaguar’s entry-level sedan. There’s a good deal of average-grade plastic in the cabin, including the inner door handles which is quite a turn off. Even the steering-mounted controls use plastics of an only acceptable grade. Plain and simple, there is a lack of finesse in the cabin and it doesn’t feel rich for the kind of money you’re paying. 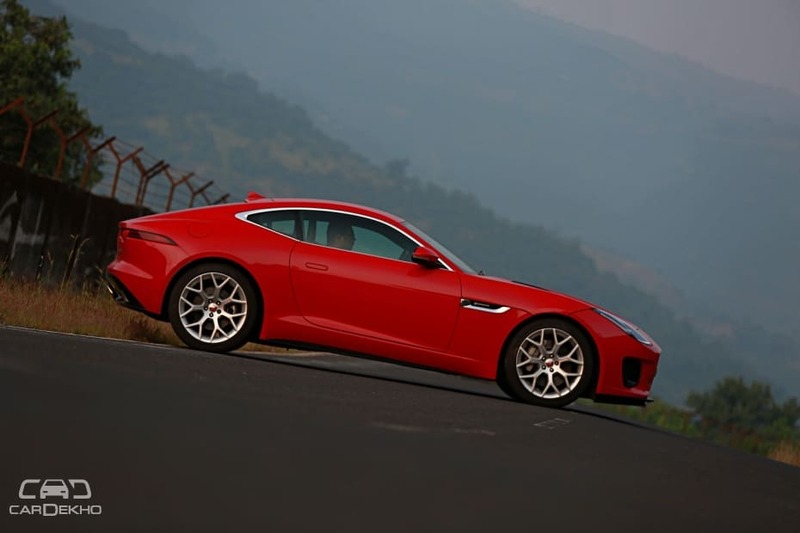 It’s one aspect where Jaguar’s range, in general, is yet to match or beat the Germans. And then you find that Jaguar has also adopted a philosophy of leaving a lot to add ons. This car is specced in the range-topping R-Dynamic variant and gets features like 6-way power adjustable seats, a motorised steering-adjuster, rear parking sensors and cruise control with a speed limiter. But then you find that memory seats/steering, heated and cooled seats, front parking sensors, passive keyless entry and two-zone climate control are all add ons. Even the rear camera is an optional extra in this top-end variant! While it’s hardly a deal breaker for someone with over Rs 1 crore to spend on a sportscar, it does seem greedy. There is, however, some drama to it all. The central AC vent rise out from the dashboard where it sits flush when switched off. Our test car came with the optional red seat belts, adding a sporty touch and even the instrument cluster gets a red hue when Dynamic mode is engaged. This does add some ‘cool’ to the cabin but it’s still short of wow. As for space, there’s enough for someone up to 6.5ft in height, albeit with the seat set to its lowest. Or you could get the convertible. The boot itself is quite large and big enough to fit in a few duffel bags. However, this is where the spare tyre has been placed. So, to actually use it, you will have to keep the tyre in your garage or pack lightly. Now, we get to the core of this review. This is the smallest engine in the F-Type and the on-paper figures, while decent, aren’t nearly as impressive. 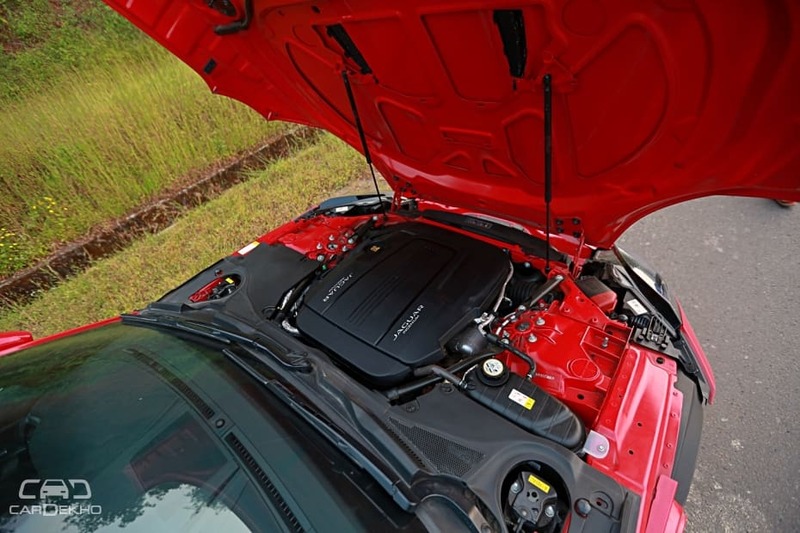 The 2.0-litre turbocharged 4-cylinder petrol engine is from Jaguar Land Rover’s Ingenium engine series. The motor itself is around 52kg lighter than the V6 and produces 300PS and 400Nm of torque. Modern as the engine is, the rest of the powertrain is pretty traditional - front engine with rear wheel drive, with an 8-speed automatic transmission connecting the two. Does this F-Type clear its throat when you hit the starter button? Yes, it certainly is an audible engine even while idling. Is it dramatic? No. While the V6 and V8 can have your neighbours complaining during the society meetings, the 4-cylinder is safe that way. But that has no bearing on its performance as this engine is quick. The peak torque is delivered from as low as 1500rpm, so you don’t have to push the motor to enjoy what it has to offer. You can have some fun even at low to medium speeds as it’ll dart through traffic much like a hot hatch would. 0-100kmph took a tested 6.56 seconds, which isn’t hair raisingly quick. In fact, it’s in the same territory as a luxury sedan like the Mercedes-Benz E350d. But what is enjoyable is how it keeps picking up speed after that. If you aren’t careful, you will be breaking speed limits while assuming you’re just cruising. More importantly, it has a healthy mid-range performance. Even in 8th gear, there’s heaps of torque available for highway-speed overtakes and to do that faster, you can always use the paddle shifters to drop down a few gears. The good bit here is that the engine is happy to just cruise as well, delivering a tested 12.28kmpl on the highway. It feels relaxed over long distances too, easily clocking 100kmph at under 2000rpm in top gear. It’s also a powertrain you can use for daily drives as it’s not a handful to operate at low speeds. The engine is more than happy to deliver power sedately and smoothly glide ahead. However, at low speeds, the transmission has a tendency to hold onto lower gears for longer than needed, before upshifting. If you slow down after the upshift, it’ll change gears again, making the city drive a touch jerkier than it needs to be. This isn’t a problem when you’re driving fast as the transmission has been tuned to be responsive enough under hard throttle. As for efficiency, we managed a tested 7.68kmpl in the city which is respectable. But how does it sound on the move? Well, even with the active exhaust engaged, the motor is never obnoxiously loud. There’s no loud scream when you floor it, nor are there fireworks when you let off the accelerator. It’s a constant raspy engine note that’s very appropriate for a sportscar and you even get some crackling and popping, but it’s not the British muscle car sound the F-Type is known for. In many ways, it’s more fitting for the classy looking F-Type, unlike the V6 or V8 which are louder than the gods of thunder. 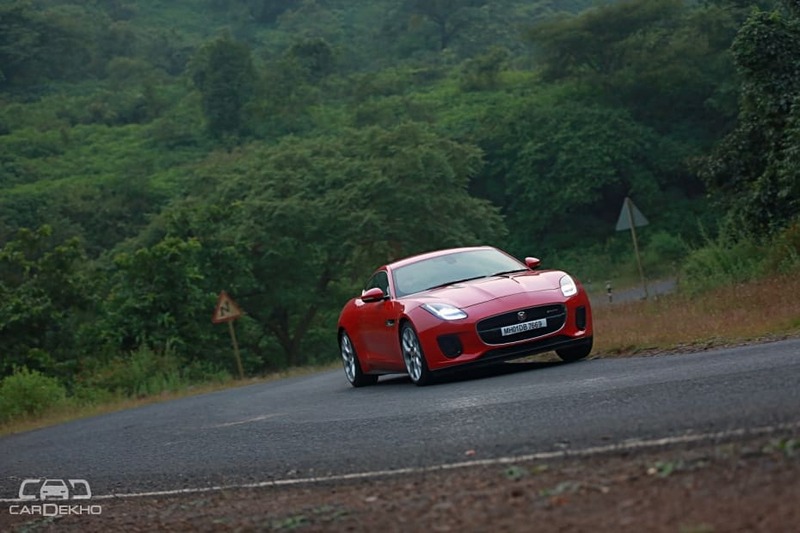 The beauty of the F-Type, apart from its literal beauty, has always been in its handling. Jaguar had managed to get the chassis setup just right and even with this smaller engine, it’s still the fun to drive car we expect it to be. For starters, it’s comically tail happy. Even in a straight line, it’ll wiggle its rear end. You do have to be careful while taking corners fast, as the rear end is always happy to step out, especially since the front end is lighter than before. Its steering is also a joy to use, making cornering something you really look forward to. There’s loads of feedback and unlike many modern sportscars, this one makes you feel needed. It offers a very involving drive with no unpleasant surprises. Even the steering does exactly what you want it to, while being very communicative. That said, once you really decide to push it on the open highway, you do wish for a little more weight and feel to the steering. It’s no cause for concern by any means, but doesn’t feel as planted as the bigger F-Types, and that could be down to the lighter front end, thanks to the Ingenium engine. The suspension setup is on the firmer side, of course, but not too stiff. You can take a lot of broken patches and rough sections without having to slow down to a crawl. There’s also enough ground clearance to tackle most speed breakers, though, you will have to go sideways over the larger ones. Even when you hear a scraping noise, it’s usually the plastic edge of the front splitter and not the undercarriage. However, there are no adaptive dampers, so even switching the drive mode to Dynamic doesn’t change how the car rides. And while the ride never gets too stiff, it’s not very settled while braking into corners. Enter a fairly mild curve at speed, for instance, and hit the brakes - you can feel the rear end going loose and the car squirming. This is fine if you want to get the tail out, but you need to be cautious if you don’t want that happening. 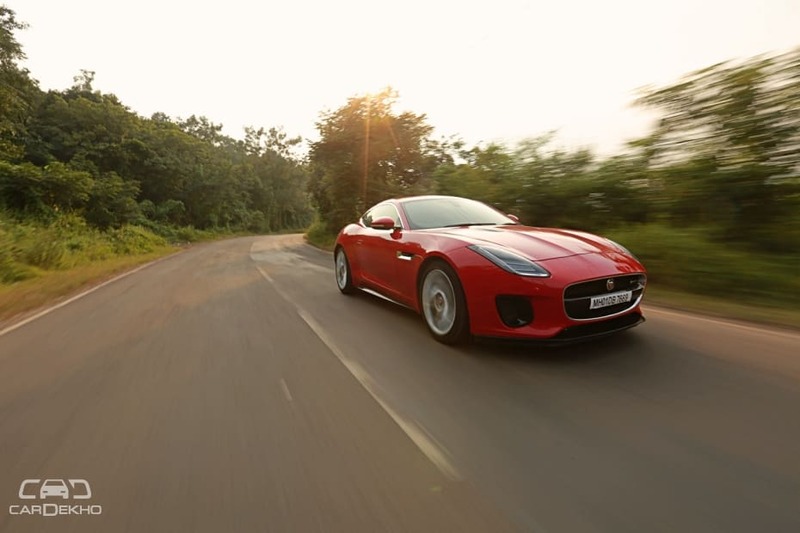 Braking performance itself is strong, with the F-Type P300 going from 100-0kmph in 38.75 metres, which again, is in the same territory as luxury sedans like the BMW 5-Series. 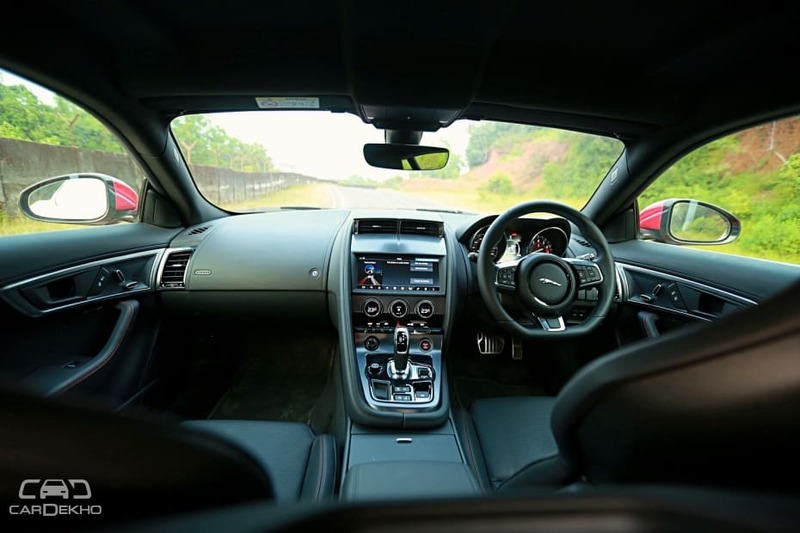 The safety pack of the Jaguar F-Type includes ABS with EBD, traction control, dual front and dual side airbags, all-round parking sensors and a rear camera. It also gets a pedestrian contact sensing system, which raises the bonnet for pedestrian protection in the event of an accident. 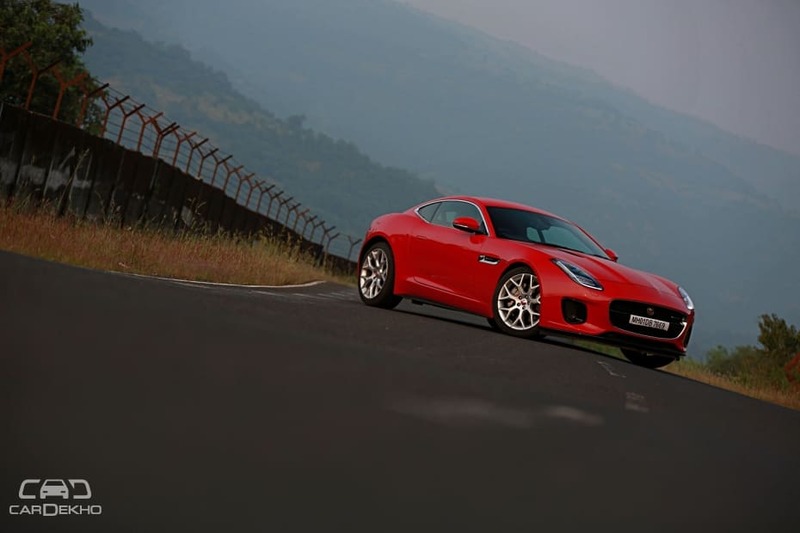 At Rs 90.93 lakh (ex-showroom), the F-Type is definitely expensive for what it offers. It’s nearly Rs 6 lakh more than the Porsche 718 Cayman and it’s no small task to ask for more money than Porsche does. 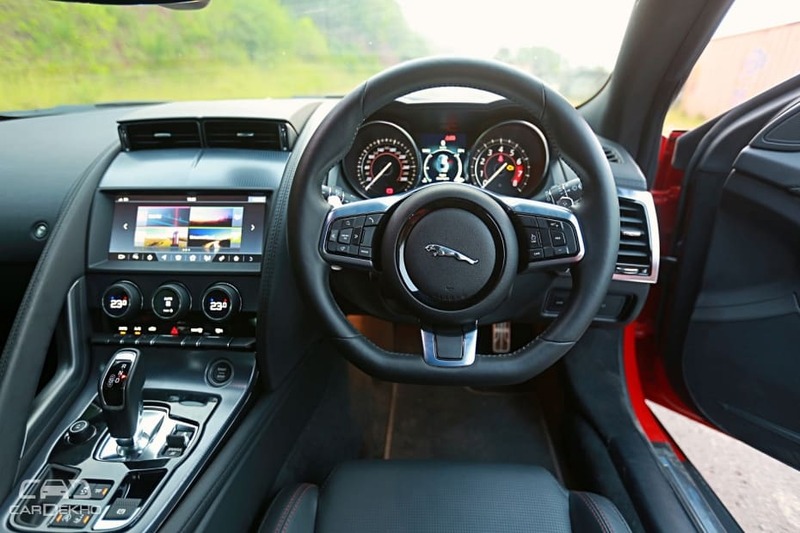 For that, we do wish Jaguar paid more attention to the interior quality and offered more kit as standard for the price, to help it deliver more value. However, the smallest F-Type is still a car we’d happily put the money down for. If anything, it’s the perfect car for the F-Type buyer. It still looks heart-pinchingly beautiful but offers something unique when it comes to the performance and dynamics package. It’s the authentic sportscar in the F-Type’s range, giving you a responsive powertrain, a very well-tuned handler that sounds pretty good too. It also makes this emotional purchase more logical, since it’s efficient and easy to drive daily and doesn’t need the experienced hands you need for the V6 or V8. Importantly, it completes the F-Type range, making this the sportscar, the V6 the grand tourer and the V8 the brash muscle car. 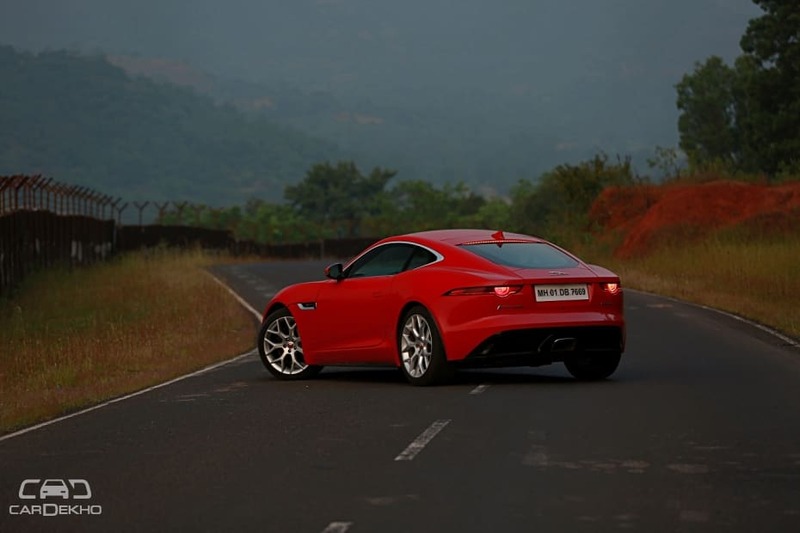 So yes, with this little F-Type, Jaguar has given us new reasons to fall in love.